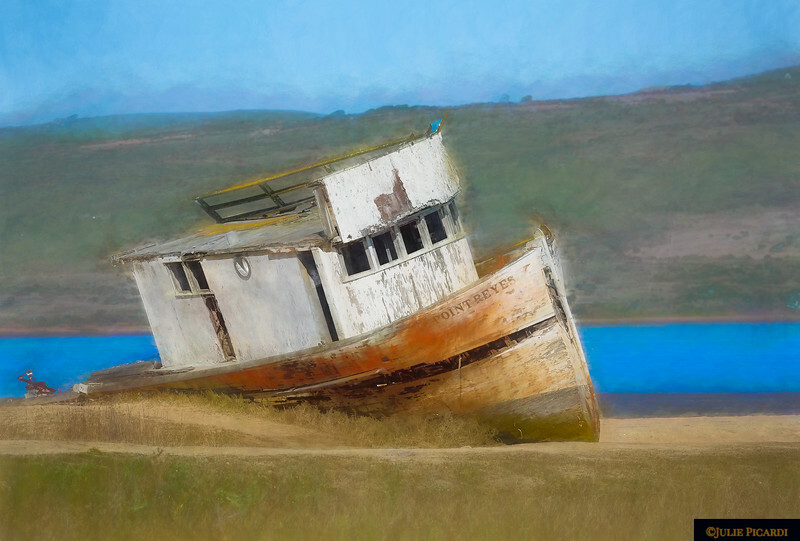 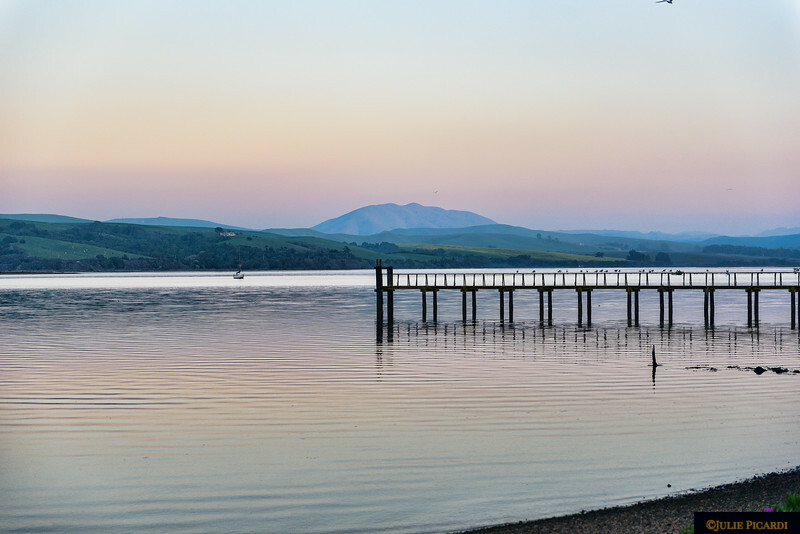 An old boat left abandoned, this iconic feature of the Point Reyes area was about to be removed until the outcry of locals saved it from destruction. 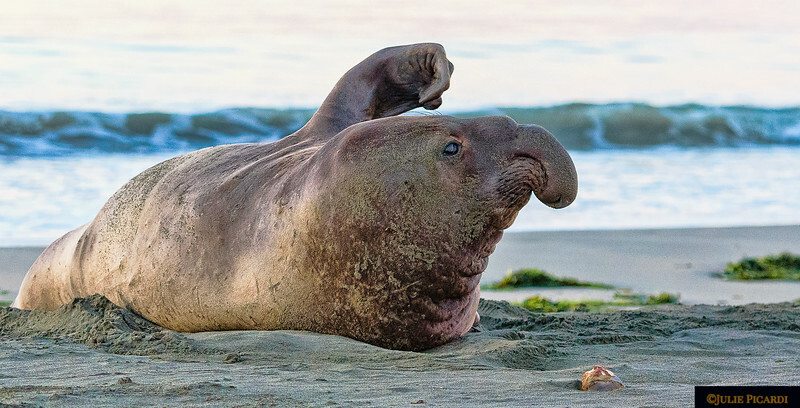 Elephant seal bull waking up from a night's sleep on Drake's Beach. 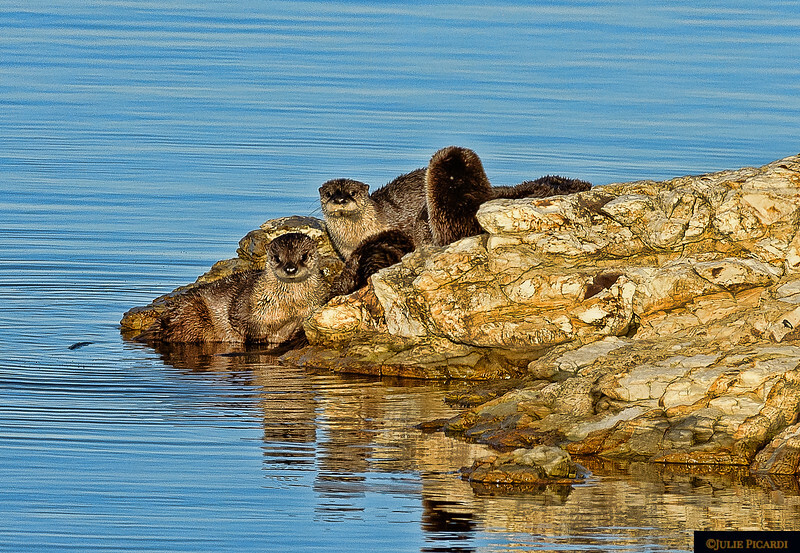 These river otters in Pt. 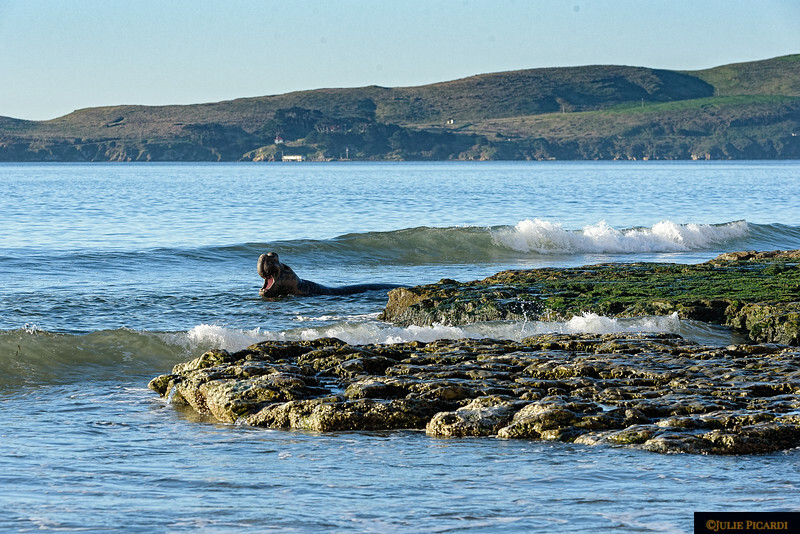 Reyes National Seashore are enjoying family time on the rocks after a morning of fishing. 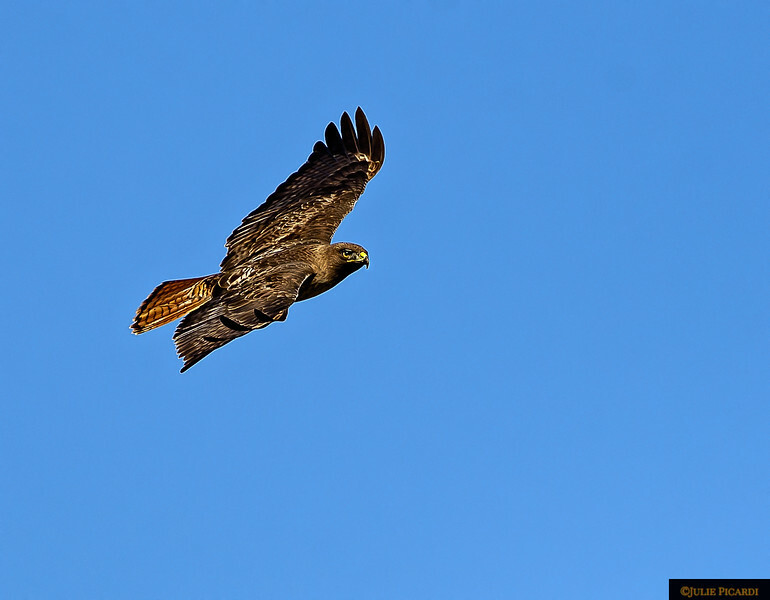 A red tail hawk in Point Reyes National Seashore searches for breakfast. 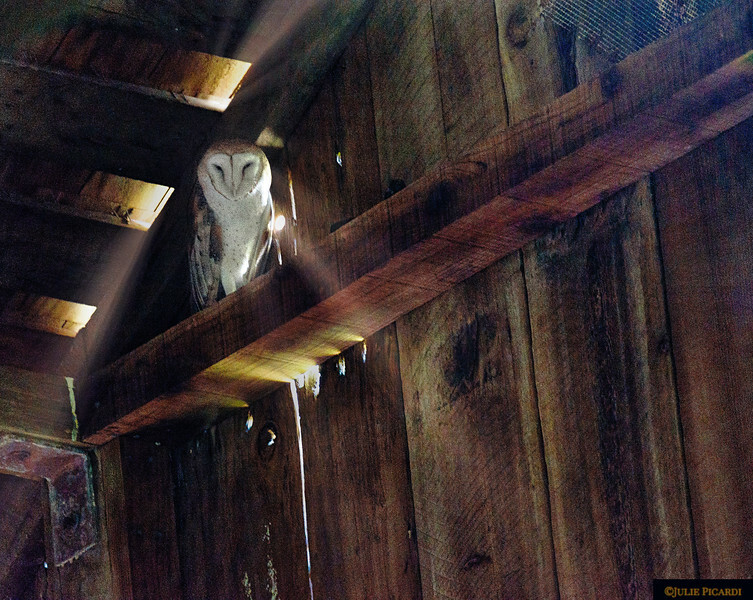 This barn owl was deeply hidden in the large, dark recesses of an old, deserted dairy barn., silent watching visitors come and go. 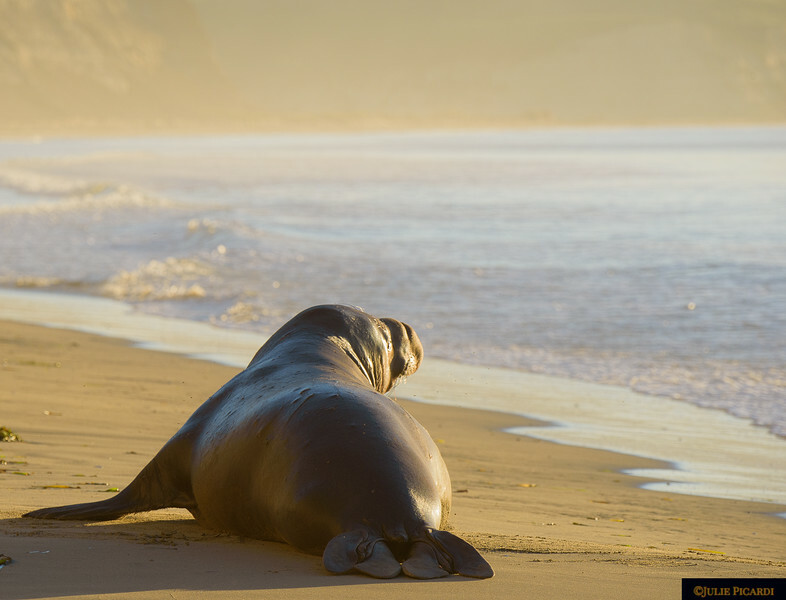 Bull elephant seal stirs in the dawn after a long night on Drake's Beach. 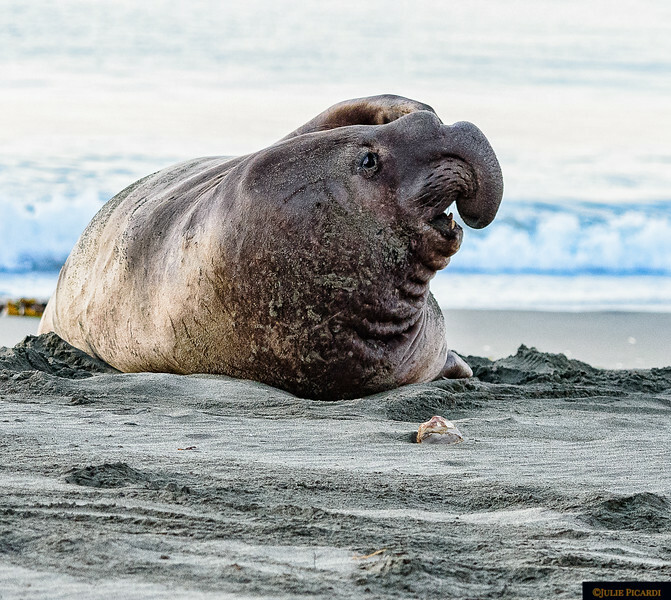 Young elephant seal making faces for his fans. 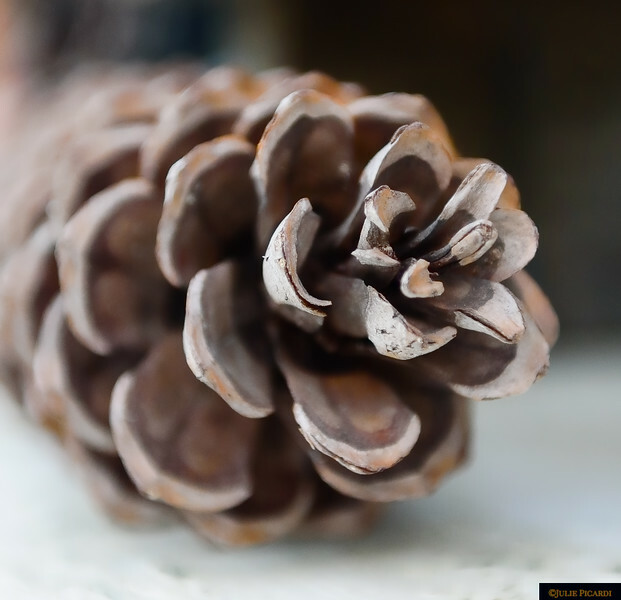 Just a simple pine cone found near the seashore of Tomales Bay, CA. 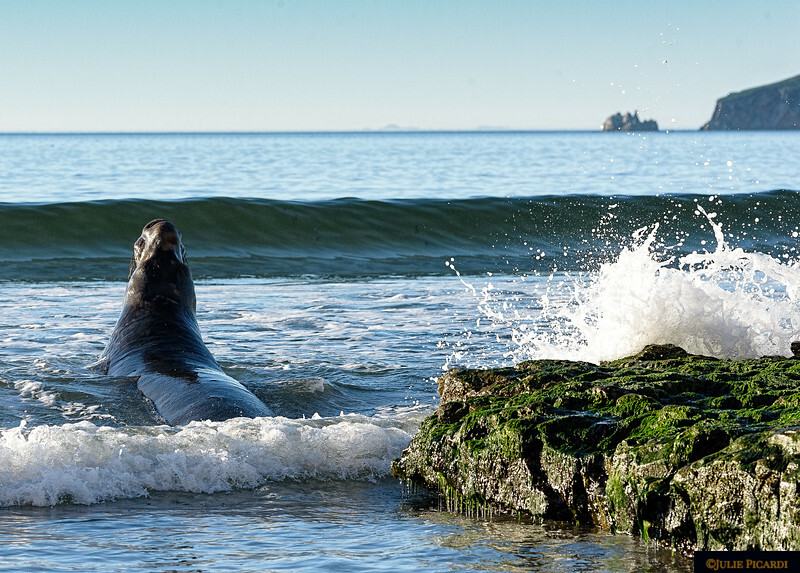 Morning swim among the rocks for this elephant seal at Drake's Beach. 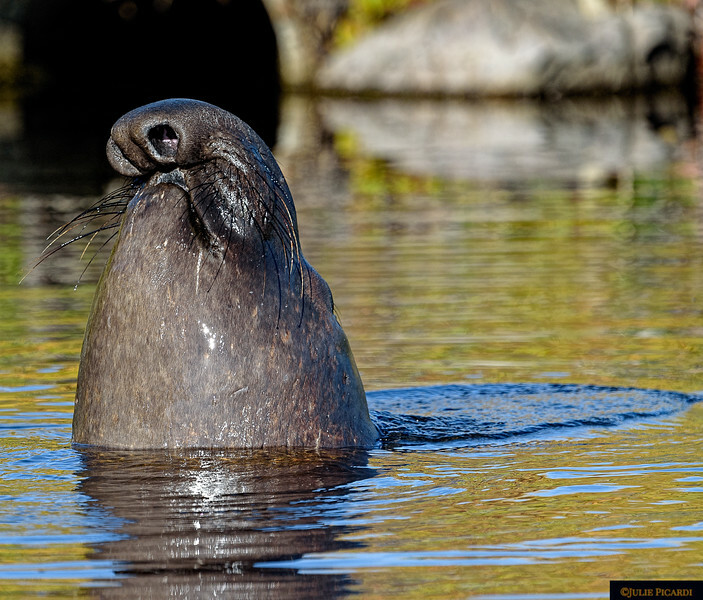 Elephant seal bull deciding whether or not to go for a morning swim at Drake's Beach,. 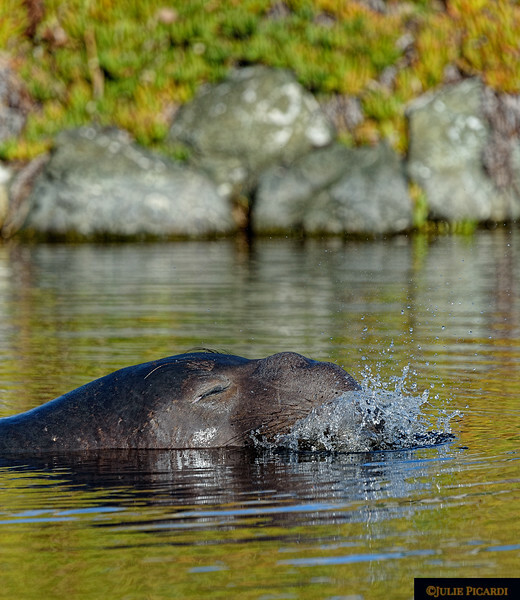 Young elephant seal blows bubbles delighting those he knows are watching. 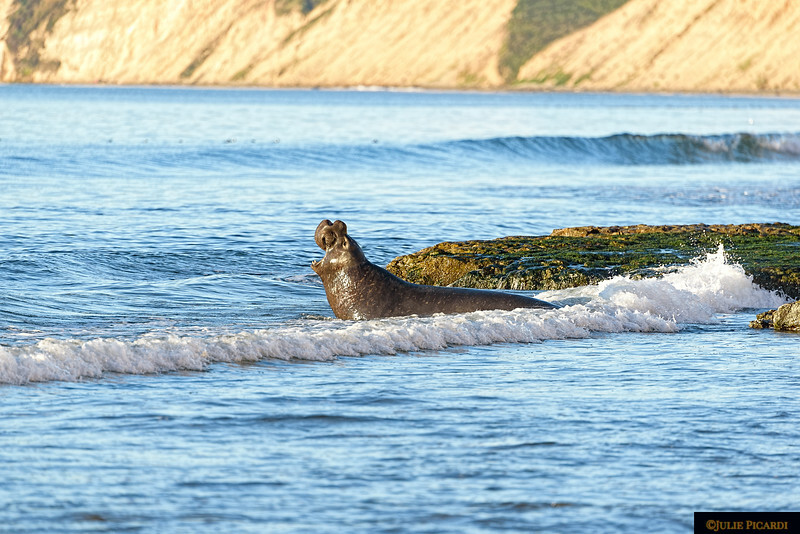 Elephant seal bull confronts the rough surf in search of breakfast. 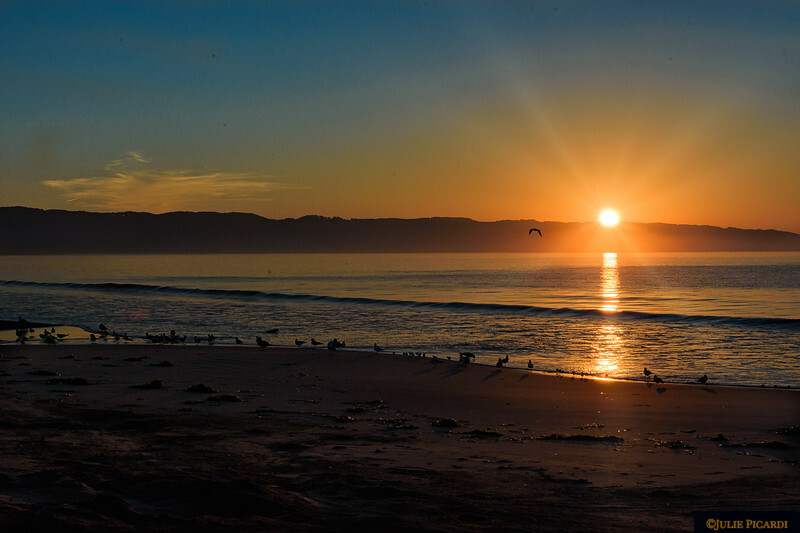 Early morning at Drake's Beach in Point Reyes National Seashore, CA. 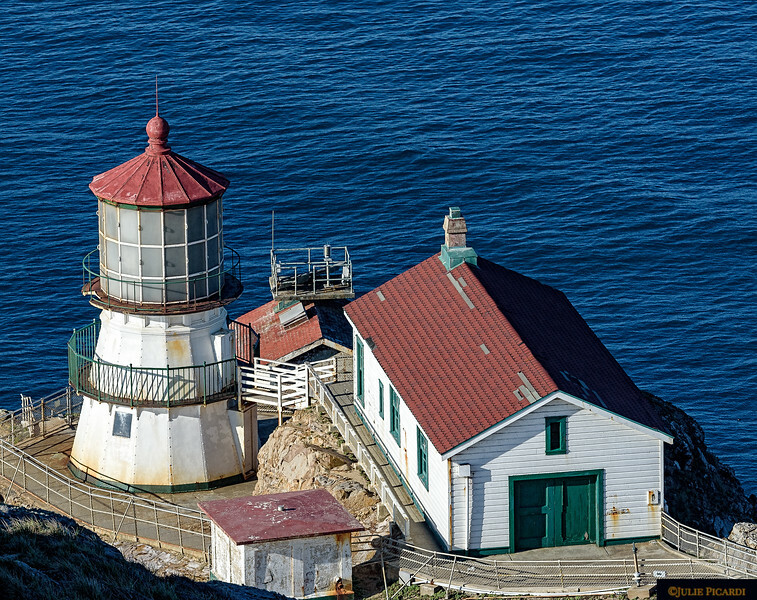 Lighthouse at Point Reyes National Seashore. 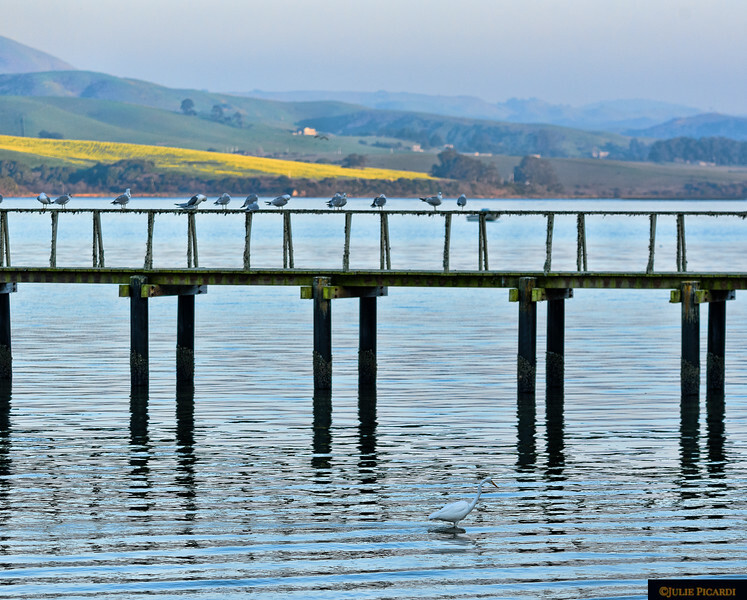 A good place to watch for migrating grey whales. 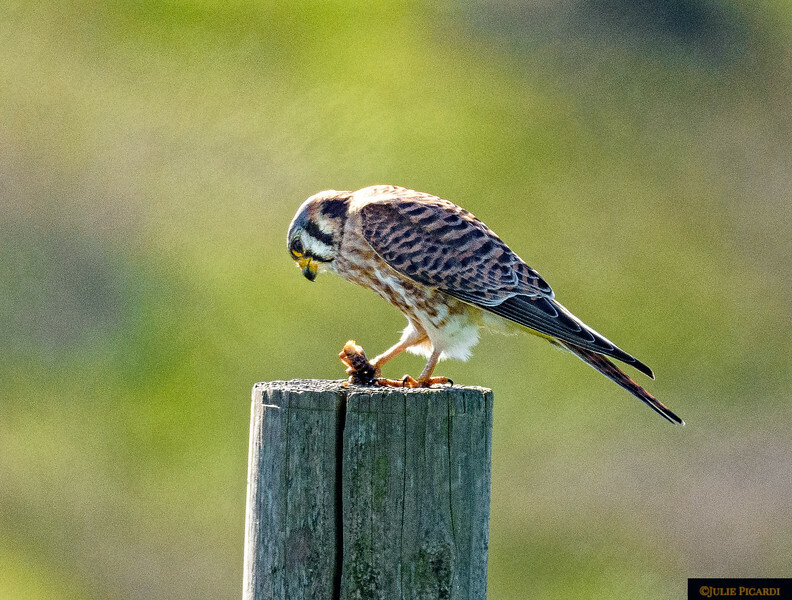 Successful hunt for this Kestrel in Point Reyes, CA. 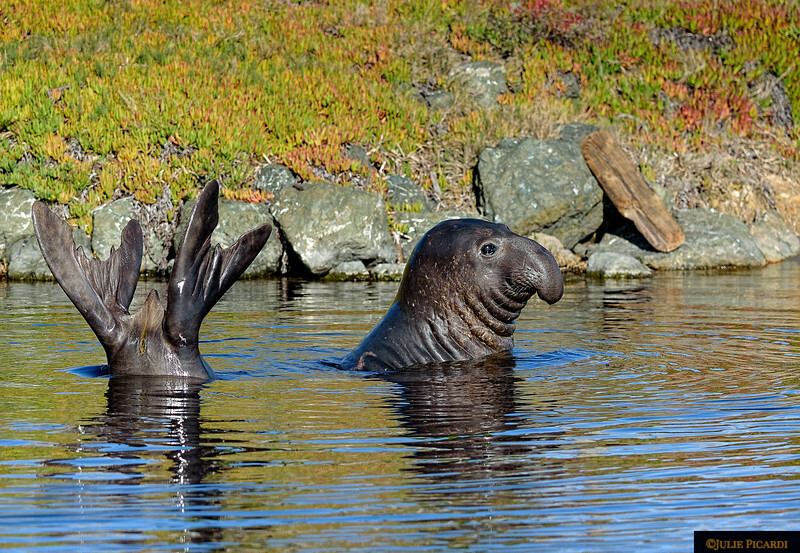 Young, playful elephant seal shows off his flexibility in a small lagoon at Drake's Beach. 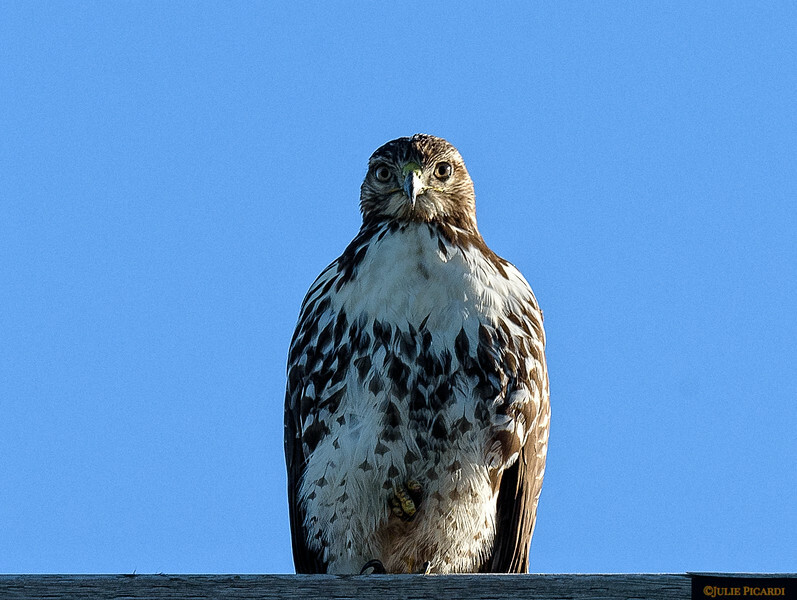 Juvenile Red Tail Hawk watches from his perch. 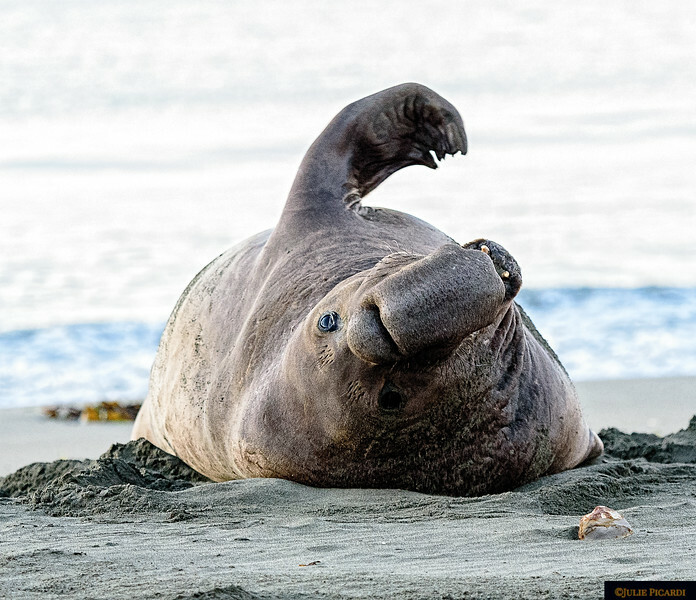 A young elephant seal showing off for his fans. 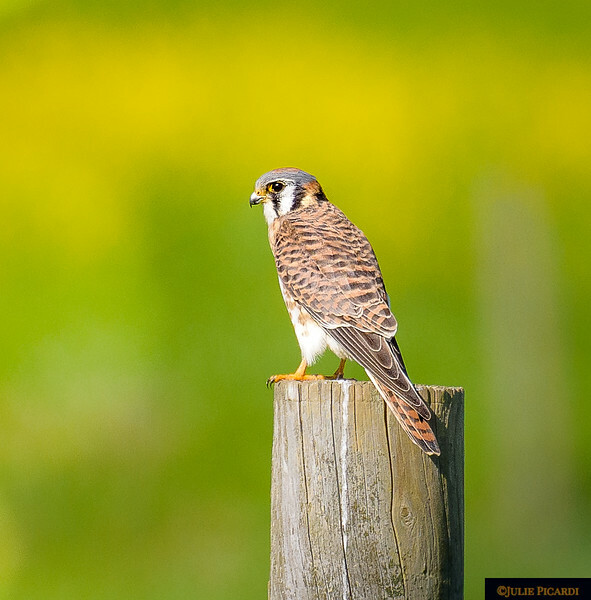 Shy kestrel poses briefly before taking flight in Point Reyes, CA. 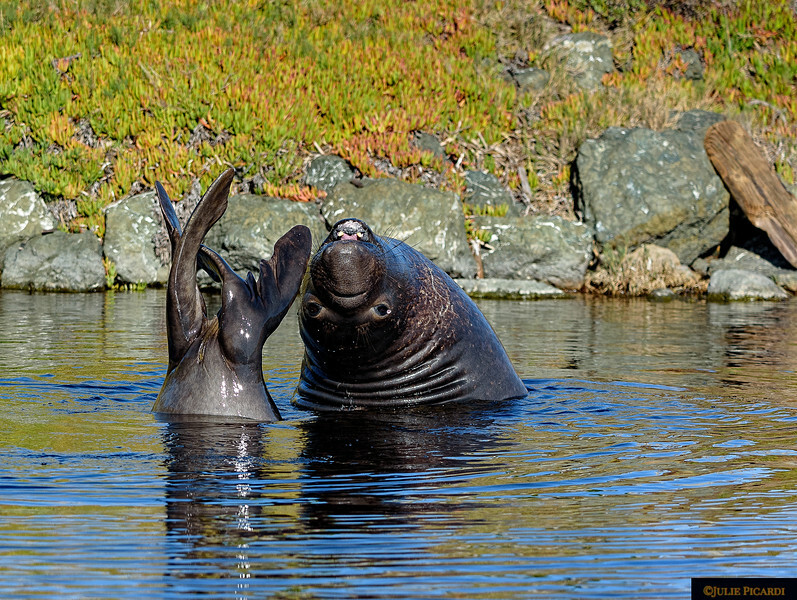 The bellows of this bull elephant seal can be heard above the crashing waves. 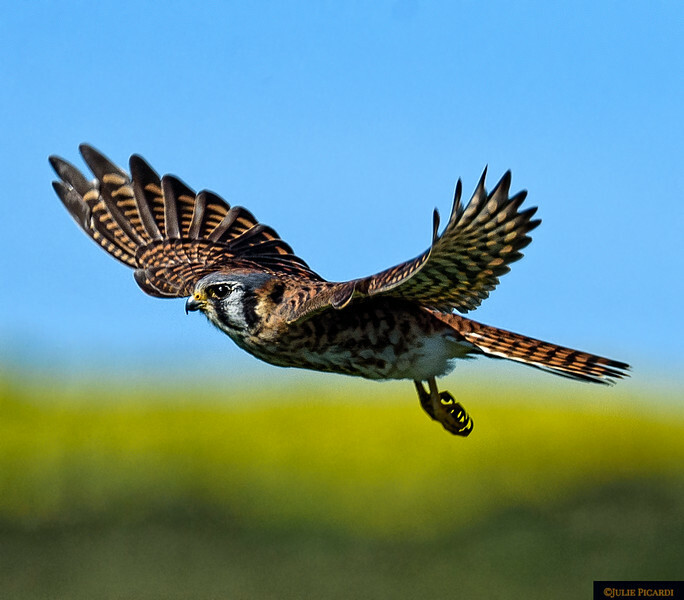 Kestrel in flight in Point Reyes National Seashore. 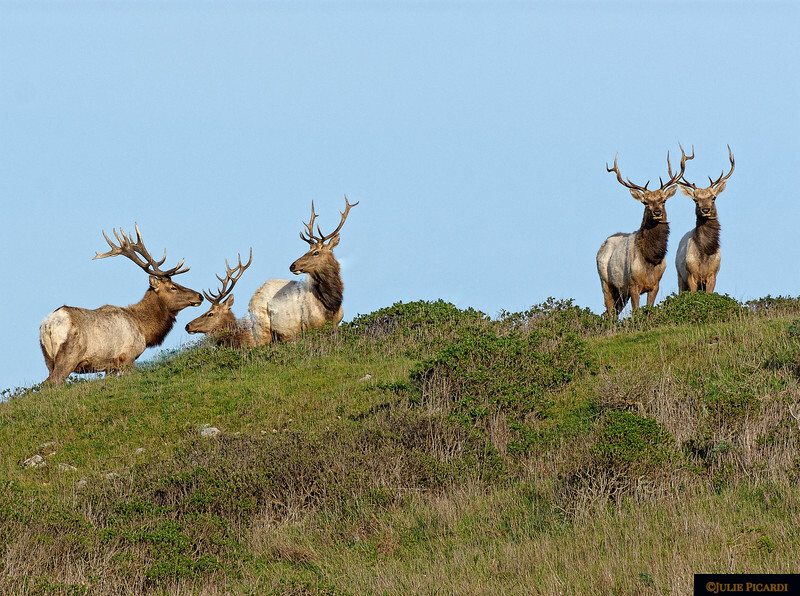 A herd of Tulle Elk bulls watch us from above. 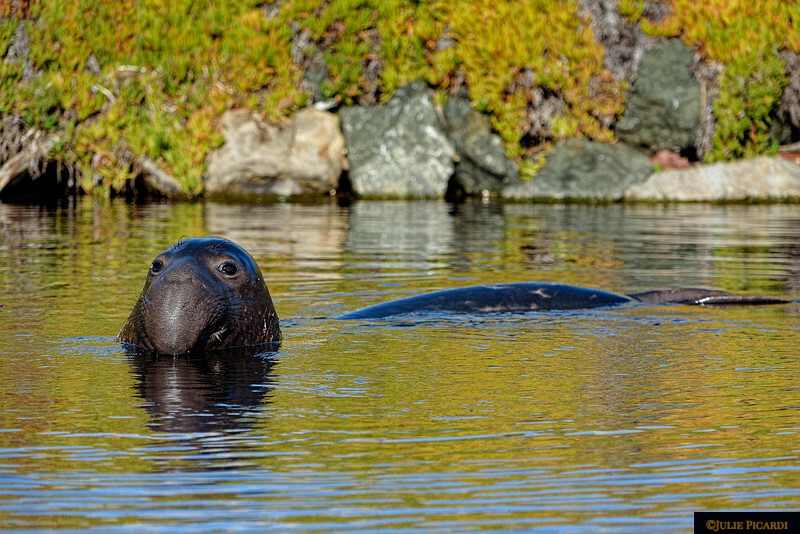 Young elephant seal emerges from the depths of the lagoon to see who might be watching. 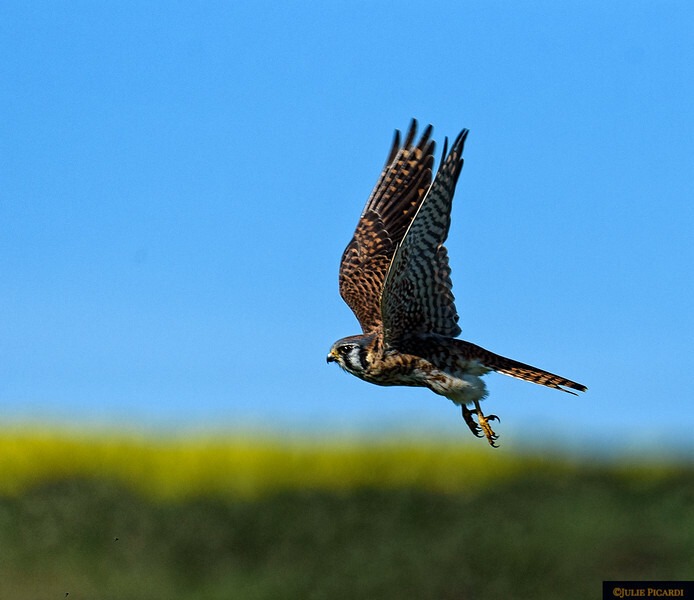 Kestrel in flight searching for his next meal. 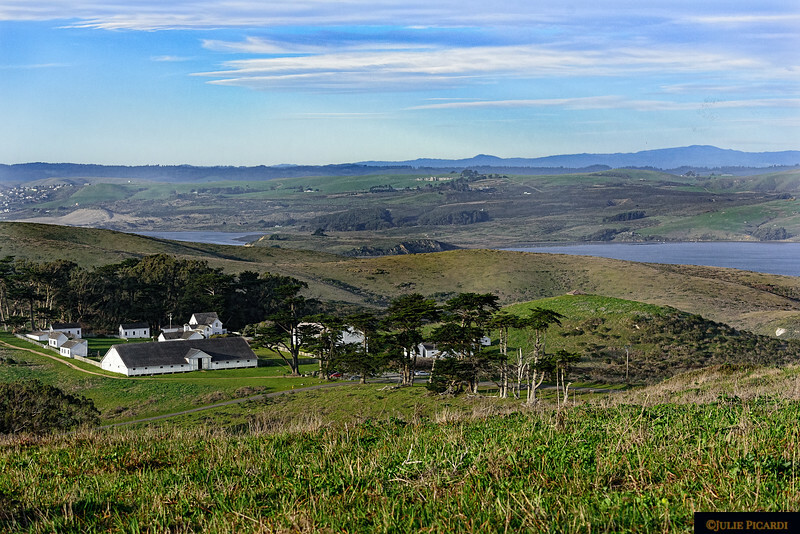 Overview of Pierce Ranch in Point Reyes National Seashore. 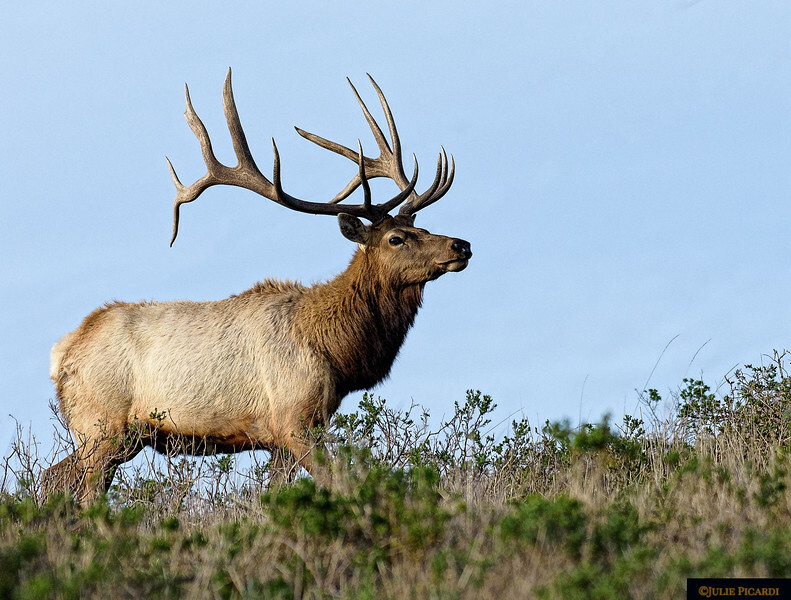 This year's contender for the Tulle Elk bulls. 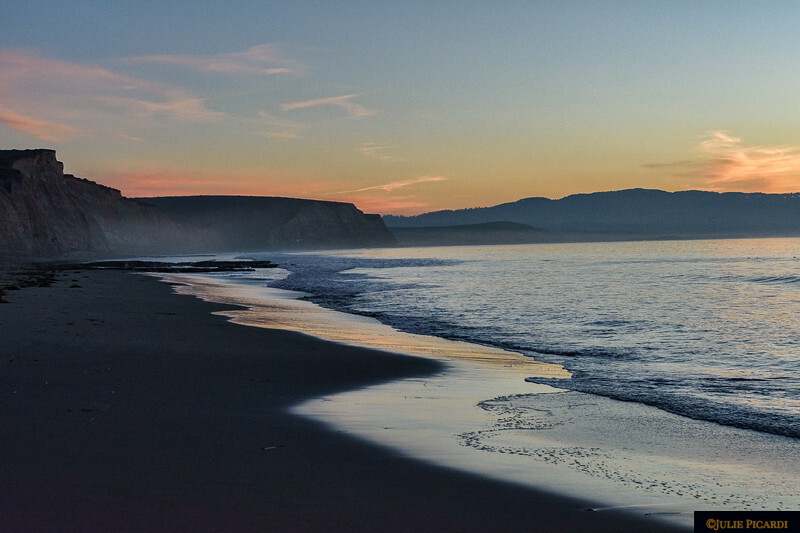 Overview of Tomales Bluff in Point Reyes National Seashore. 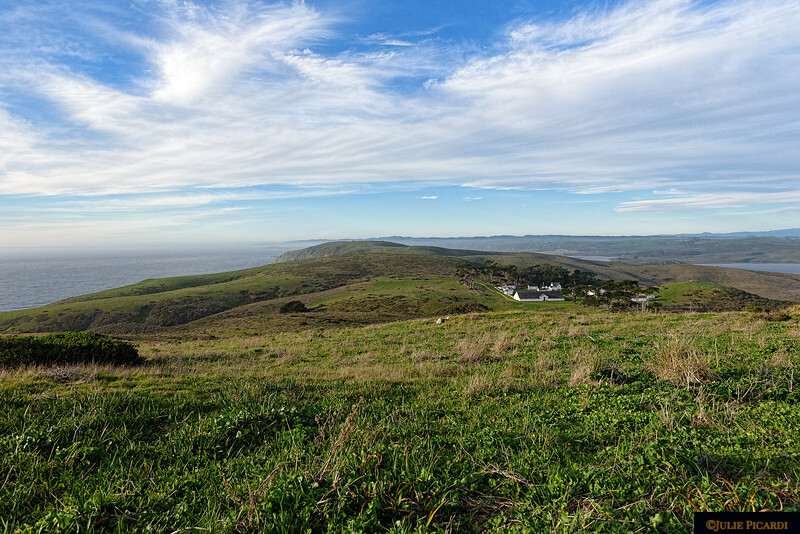 Cows are a common sight in the Point Reyes National Seashore. 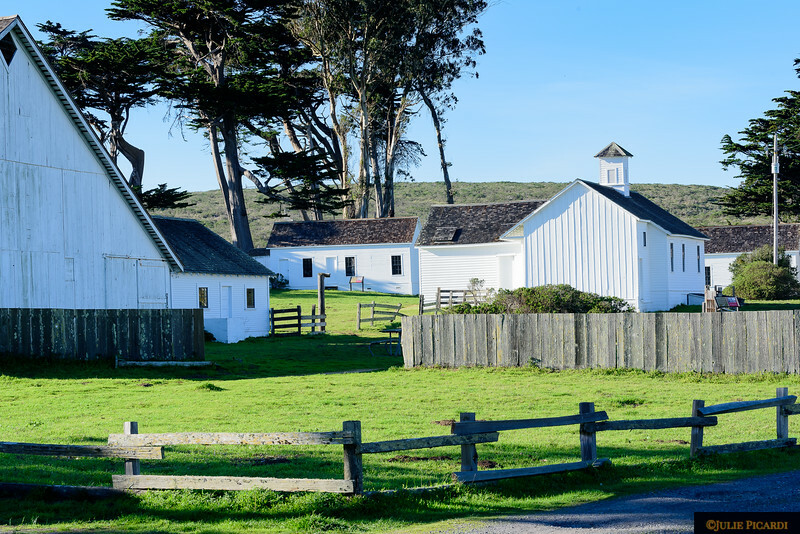 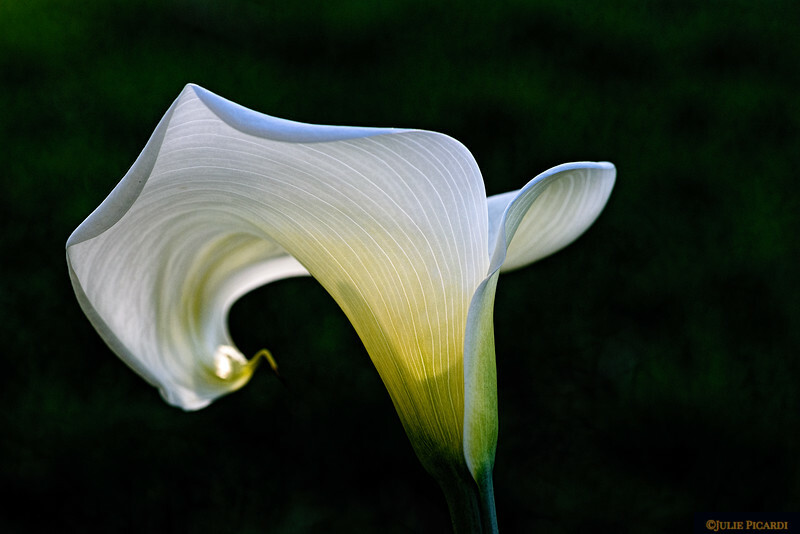 Before the area became a park, dairy farms owned the property back in the mid 1800s. 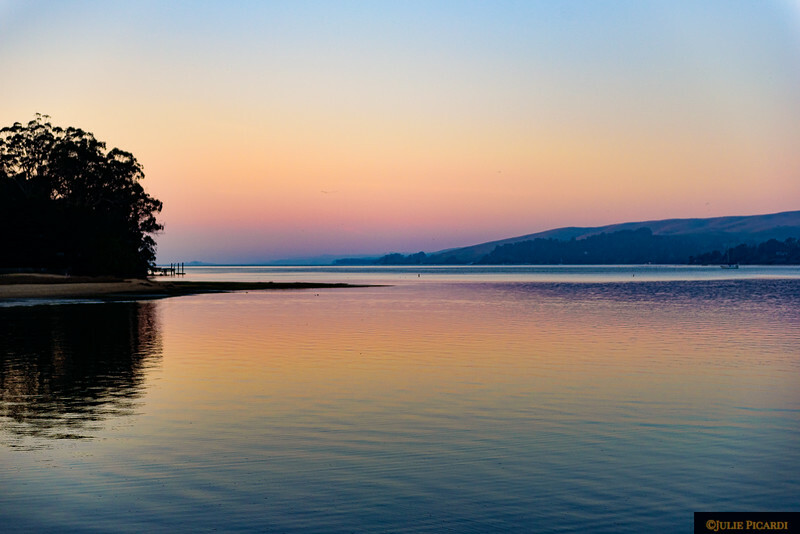 In the middle of the 1900s, the park service bought the land from the farmers, with the agreement the farms would remain but pay a small lease fee. 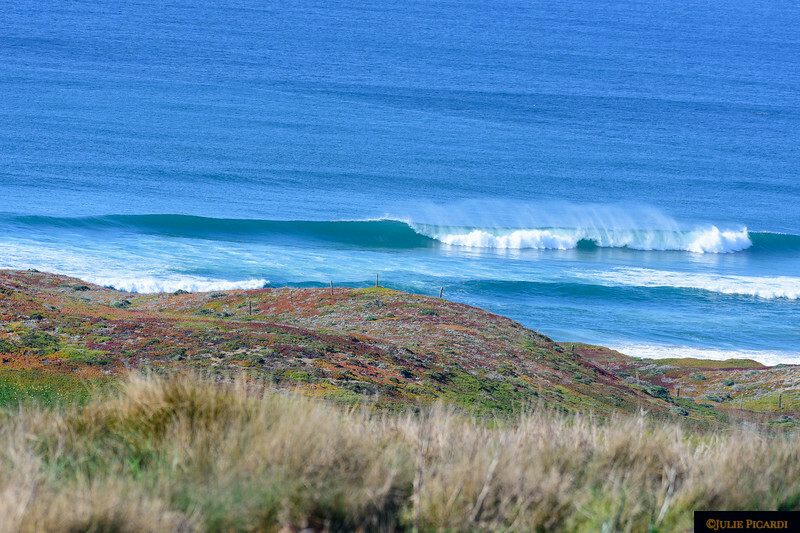 Several farms remain in operation. 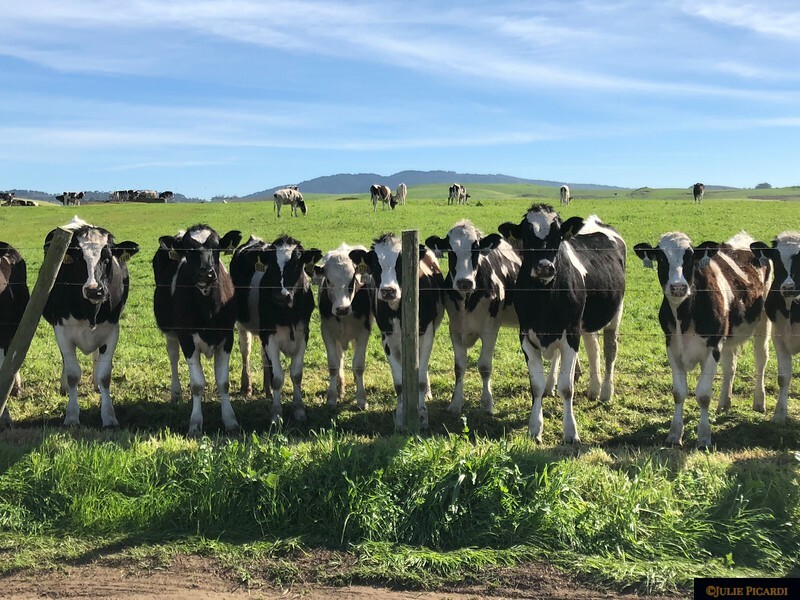 It is common to see wildlife sharing pastureland with the friendly dairy cattle.